This book is about a lady named Linda who is in her thirties, she has "a wonderful husband who is madly in love with her, and he is one of the three hundred richest people in Switzerland.... She has two children who are her reason for getting up....She is a highly regarded journalist at a respectable newspaper that can be found in almost all of the news kiosks in Geneva." However, she wakes up one day and ask herself: "Is this it?" 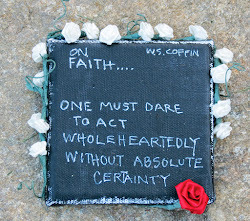 Coelho goes on to tell us that Linda "feels that she is wasting the best years of her life in a pattern that will be repeated over and over until I die; and sheer panic at facing the unknown, however exciting and adventurous that might be." He paints a picture of her life being perfect but something is missing; however, I instantly thought that passion is missing from her life. He does not tell us about anything that Linda loves passionately outside of her family: swimming, fishing, reading, hiking etc. It appears that Linda has not found that passion that gets her out of the bed everyday. Paulo helps the reader to understand what is going on with Linda by referencing works such as Dr. Jekyll and Mr. Hyde by Louis Stevenson, Frankenstein by Mary Shelly, The Greek Myth of Eros and Psyche, the story of David and Bathsheba from The Bible, and he quotes from the book of Corinthians from The Bible. If you are unfamiliar with these pieces, then it may seem as if Coelho is rambling, but if you know these pieces, you will recognize how Coelho cleverly uses these pieces to fully develop this story line and give us a deeper understanding as to how Linda was feeling. Linda goes on to take the risks that she needs to take, and Coelho ends this novel with the idea that "our goal in life is to learn to love.... love is a constant process." And, can I add that I think that we must learn to fall in love over and over again with hobbies, people, life, places etc., in order to having a fulfilling life. 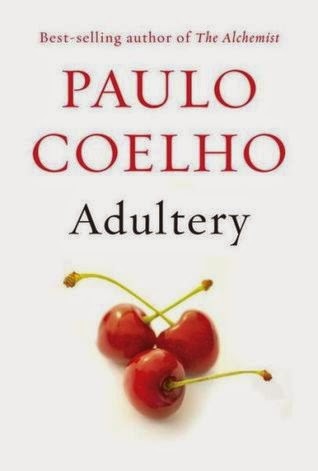 If you want to think about life and love from a different perspective, on a whole 'nother level, read Adultery by Paulo Coelho. By the way, I'll be reading The Husband's Secret by Liane Moriarty in preparation for my upcoming book club meeting. I attempted to read The Alchemist since that is the book of his that people rave about the most. I could not finish it. But I am starting to realize that timing can have a huge impact on how you receive a book. I had actually forgotten I was only half way through until I saw this. I'm going to put it in plain view so that it gets a fair shot when I pick my next read. I have one or two other books that he's written. Gonna pass on this one though. I read the Husband's Secret and it was some bull. I'll definitely stay tuned for your thoughts on that one. I've read quite a few books by Paulo, and I deeply respect his writing. Yea, I am half way through Husband's Secret, and I am not feeling it. I'll keep reading and see if I change my mind. At least it's a quick read.